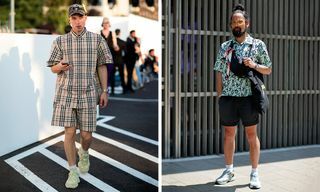 Key Looks: As you’ll quickly see, prints were out in full force at Milan Fashion Week SS19, including a plethora of animal patterns. We find intriguing top and bottom pairings with little regard for conventional matching, while accessories such as bright bags and trendy shades further round out ‘fit choices. Be sure to hit the comment section to let us know your favorite overall look. 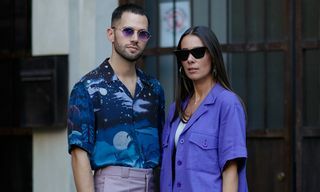 Editor’s Notes: Once again, Eva Al Desnudo was on hand to capture the best street style during Milan Fashion Week. As alluded to, this particular set is all about prints, and plenty of them. 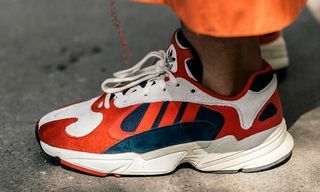 Complementary bags and eyewear are utilized to further showcase individual flair, in addition to standout footwear, ranging from YEEZYs and Air Force 1s, to chunky sandals and beyond. 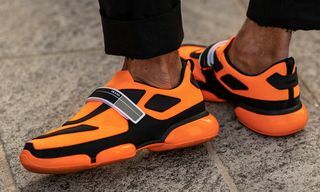 For more, take a look at our previous street style gallery from Milan Fashion Week SS19.